We’re probably a lot alike in the fact that we can’t wait for Christmas morning to come. There’s nothing quite like walking up to the ol’ tree all sleepy-eyed and seeing a pile of presents all neatly wrapped, waiting to be torn open. But unfortunately, there are many out there not as fortunate to have more than a single present to open. Some families don’t have the ability to buy anything to go under the tree. It’s sad, but there’s a way we can all help. All over the city, there are donation boxes and giving trees in local businesses and organizations where you can make a difference in someone’s life. Now, there’s no way we could call every place in Concord to see what they’re doing this year. Just not enough hours in the day. But between a few emails and phone calls, as well as what we heard about through the grapevine, we came up with a list of a few places for you to check out. 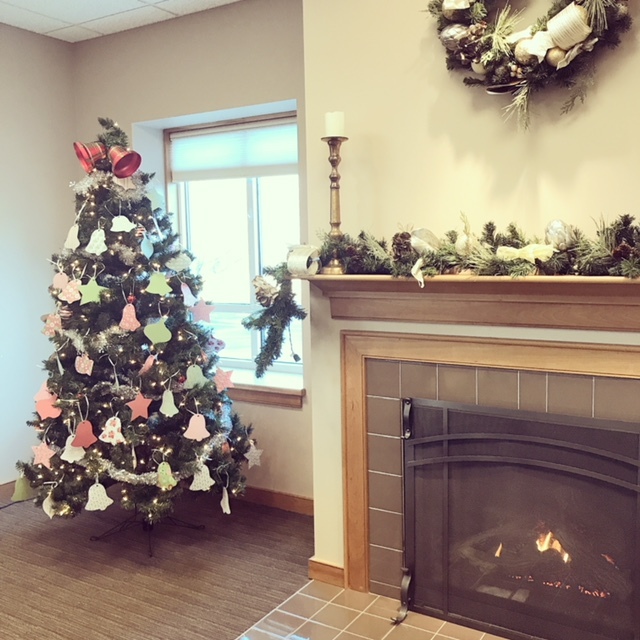 The giving tree in the Concord Family YMCA lobby (15 N. State St.) is for children in the Y’s Child Development Center and After School program. With the help of classroom teachers, school leaders and families, anonymous requests are put on the tags, including items like winter gear, clothes and toys. Anyone can get a tag, and the gifts need to be unwrapped and with the tag and brought back to the Y by Dec. 19. The amount depends on what the tag says, but there are tags with all kinds of values from $5 to $10 and up. While we’re all for buying toys and clothes for the kids, there are a lot of seniors out there who won’t be receiving anything this year. So GoodLife Programs & Activities is partnering with the Concord Housing Authority, the Friends Program, Age at Home and Gateway Community Services to change that. GoodLife has a giving tree in its reception area with 85 tags on it for seniors in need. They were asked to write down their needs, which include things like warm clothing, blankets and grocery store gift cards, as well as wishes. Some of those are more like bird feeders, classical music and a Taylor Swift CD. It is suggested you spend a minimum of $15, and it must be returned, unwrapped in a gift bag, by Dec. 18. The Concord Police Department will then deliver the gifts by Christmas. GoodLife is located at 254 N. State St., Suite L, so stop by and grab a tag. There’s a giving tree at the Unitarian Universalist Church (274 Pleasant St.) with 40 tags on it. Each one is for a child – infant to teenager – from a family whose parent is taking English for Speakers of Other Languages classes through Ascentria. The tags consist of one item in the $20 range and need to be returned by Dec. 17. We at the Insider/Monitor have partnered with the Salvation Army to host a toy drive. New and unwrapped toys can be dropped off in our lobby (there’s a big box that you can’t miss) through Dec. 12. N.H. Federal Credit Union is also doing the same at its North Main Street location.